Azerbaijan and Iran will sign a new agreement on cooperation in the spheres of communications and information and communications technologies (ICT) in the near future, the Iranian embassy told Trend. The remarks were made during the meeting between the Iranian ambassador to Azerbaijan, Mohsen Pak Ayeen and Azerbaijan's Minister of Communications and High Technologies, Ali Abbasov. 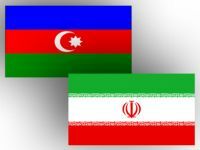 During the meeting, the two sides discussed the prospects for cooperation between Iran and Azerbaijan in these spheres, the Iranian embassy said. Moreover, Pak Ayeen drew the minister's attention to the importance of developing the cooperation between the two countries' companies operating in the private sector. The ambassador went on to add that an Iranian delegation, consisting of the representatives of companies operating in the ICT sphere, will visit Baku in the near future, to hold negotiations with the Azerbaijani companies.